If you’re a true fan of video slots you’d surely know how many Egyptian-themed games you will find in various casinos. Thanks to Magic Scarab, Game360 have come up with an even more original approach when it comes to both graphics and gameplay. As a result, Magic Scarab is a game many of you will remember, thanks to its various ways to win. In Magic Scarab, you’re cast in the role of a thief who is trying to find his way around the tomb of a once-powerful Pharaoh. It’s a dangerous mission but the graphics soften the impact more than a little – plus you get to try your hand at a few fun bonus modes. Let’s have a detailed look at Magic Scarab by Game 360! Magic Scarab features the traditional layout of five reels by three rows, with 25 optional winning paylines which award wins if at least three matching symbols land from left to right of the reels. The minimum bet is of € 0.25 but you can go up to higher amounts – the maximum bet amount is capped at € 125. You are free to customise your bet amounts by choosing the number of paylines on which you want to play (from 5 to 25 in multiples of five), the coins per line and the value of each coin. The game’s RTP is of 95.2%. Three or more Scatter symbols landing anywhere on the reels will activate the Free Spins mode. The number of Free Spins you receive depends on the number of Scatters – for three Scatters you will receive five free spins, for four Scatters you will get ten free spins and for five Scatters you will receive 15 Free Spins. The prizes you land in the Free Spins mode are subject to a 2x multiplier, and you will also receive a payout that can reach a maximum of 10x your bet amount by landing the Scatters on the reels. You can also trigger additional Free Spins during the mode itself by landing more Scatters, but this also means that new Free Spins will not be subject to the 2x multiplier. If the Thief symbol lands to the left of the Ankh symbol on the middle row, you will trigger the Magic Pair – that means you will instantly receive a payout of 10x your bet amount! Finally, three bonus symbols landing in any position on the reels will activate the Bonus Game. Once you trigger the Bonus feature, the bet will be multiplied by an amount of anywhere between 5x and 100x. The lower paying card icons on Magic Scarab’s paytable find themselves accompanied by amulets, hieroglyphs, guards, gods and, yeah, thieves; the highest paying symbol is the amulet at a maximum payout if 1500x your bet per line, and since this video slot falls under the medium variance category you will find it easier to score big wins early on in the game. Of course, you’ll want to trigger the Free Spins mode to land some decent cash! Magic Scarab features traditional elements you will find in slots with classic Egyptian themes – a dark tomb with giant statues at every few steps, inscriptions and curious symbols and artefacts on the reels and around them. The game is a bit darker than other games – your only sort of lighting is provided by two torches lighting up the scene. The Game360 team has done a fantastic job by including beautiful 3D imagery in this video slot, making it look beautiful, modern and a cut above the rest of the category. They have given a lot of attention to detail to ensure Magic Scarab stands out from the plethora of Egyptian-themed games out there. 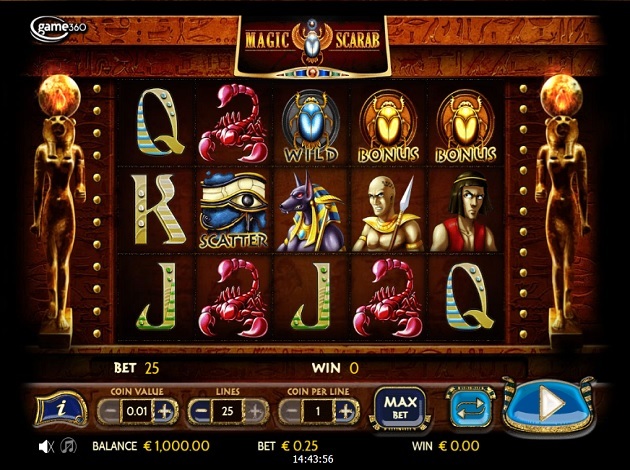 Magic Scarab is a very satisfying Egyptian slot – unlike many other classics which make the theme look repeated and “nothing special” – but the huge amount of bonus features and outstanding graphics of Magic Scarab were enough to turn this into a truly special video slot. The basic wild symbol can be very useful to you, thanks to its 3x multiplier – and this is the most useful, if not most important bonus symbol in Magic Scarab. But besides that, you have the Magic Pair, Free Spins and Bonus Game to help you find your way inside the pyramids – so good luck with Magic Scarab, brought to us by Game360. With mobile gaming becoming one of the new big things, Game360 took this into consideration and started to compete with the biggest companies out there – the company surely stands a great chance of being one of the big competitors. Andrea Guzzon is the brains behind Game360, which was launched by this entrepreneur in 2011. His goal was to create the first made-in-Italy mobile gambling company. In 2015, Guzzon led his company successfully until the acquisition by NYX Gaming Group – and is now the company’s managing director. 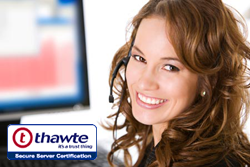 Since then, the company has continued to rise, and is today a supplier of both online and mobile software, offering a vast set of cross media and solutions to the gaming, casino, and gambling industry’s national and international leading operators. All games by Game360 are developed using the latest technology, and are designed based on creative analysis of user experience to ensure a high-quality gaming experiences. Also, the games are all developed based on a high RTP strategy of a range of between 95-96%. Following the completion of the game creation, each game is put through strong testing and verification as part of the quality assurance process – making sure all players are playing it safe. The games we currently offer by Game360, apart from Magic Scarab, are Mondial and El Paso Saloon.